A series that started with The Gates of Evangeline set in a Louisiana bayou town has now wrapped up with a third novel set on the Big Island of Hawaii. Hester Young took the Southern literary scene by storm in 2015 when she introduced her debut novel The Gates of Evangeline. 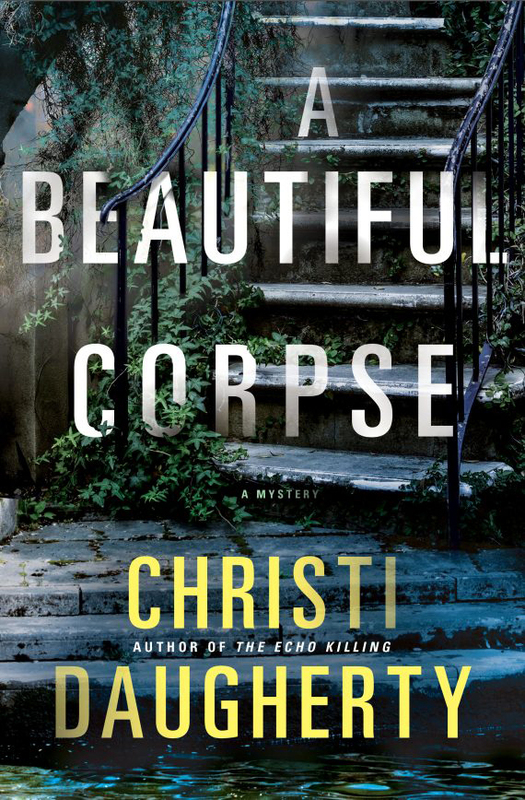 Set on a South Louisiana plantation, the book combined mother Charlie Cates’ grief over the death of her son with some eerie premonitions. 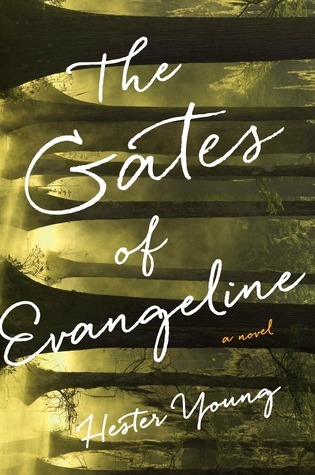 Announced as the first book in a trilogy, The Gates of Evangeline was inspired by one of Young’s own dreams of a young boy in a Louisiana swamp asking to tell her how he died. Readers had to wait two years for book two in the trilogy: The Shimmering Road. 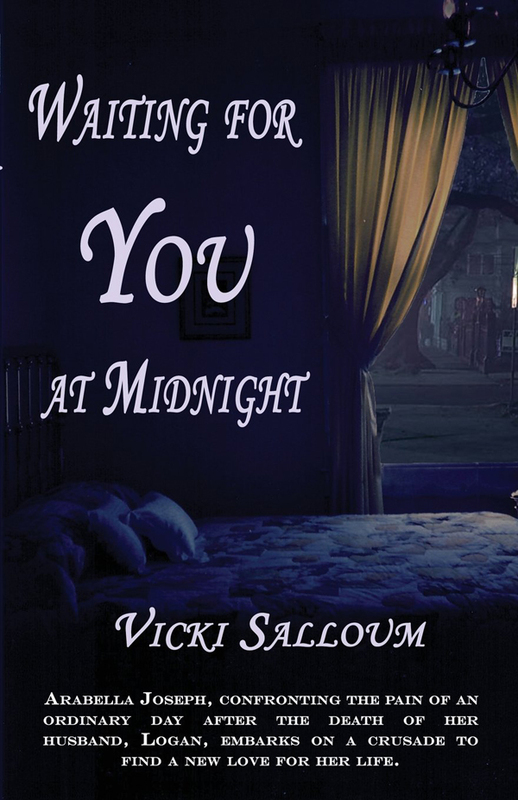 Set in the Arizona desert, this book has Charlie awaiting the birth of her daughter and investigating the death of her estranged mother. Charlie’s search for answers takes her across the Mexican border and ties in themes of immigration, poverty and family ties. To complete her trilogy, Young takes readers to the Big Island of Hawaii, where Charlie is vacationing with her friend Rae and also interviewing volcanologist Victor Nakagawa. Of course, Charlie’s visions return in The Burning Island and this time they have to do with the Nakagawa family. Young expertly weaves in the Hawaiian landscape, history and lore for a story that’s as educational as it is compelling. 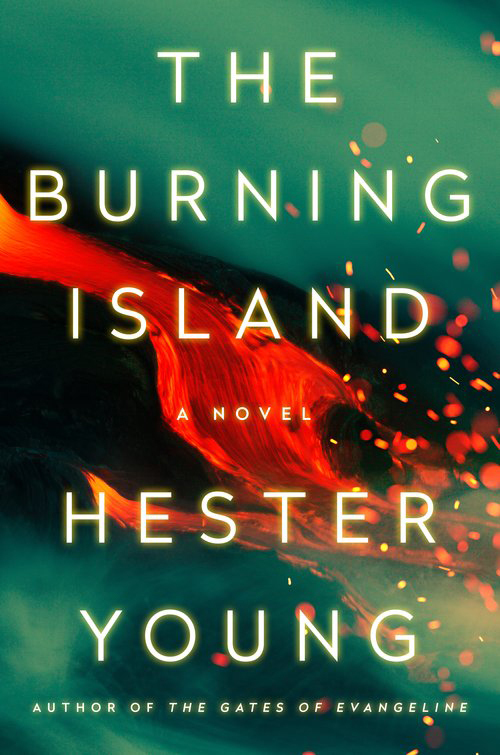 Whether you’re just starting the Charlie Cates trilogy or wrapping it up with The Burning Island, we’re sure you’re as eager as we were to hear what Young’s working on next. 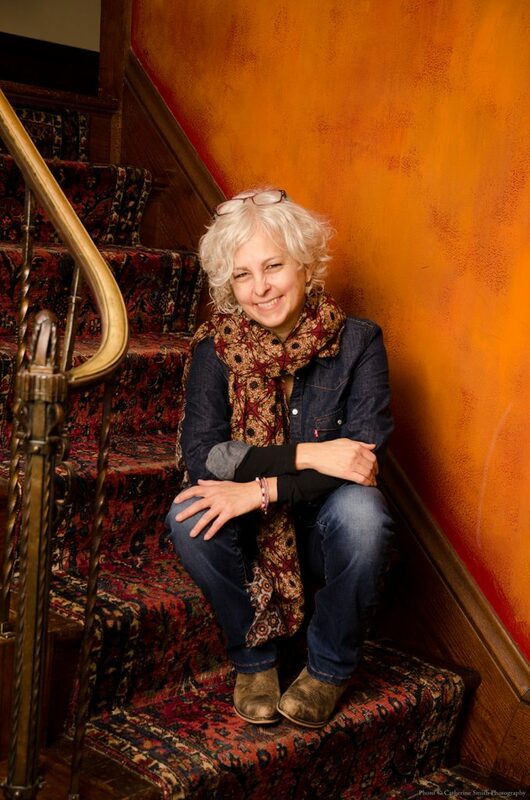 Erin Z. Bass: How does it feel to have completed the Charlie Cates series? Will you miss her or are you looking forward to moving on to other projects? Hester Young: Overall, I’m excited to have completed the series. It’s kind of a life milestone! I was a newlywed high school English teacher when I started writing The Gates of Evangeline almost a decade ago. Now, I am a full-time writer with two school-age children. Over the course of three books, Charlie and I have both come so far. I’ll miss working with her, but it’ll be nice to hear some different voices and meet new characters. EZB: The Burning Island is set on the Big Island of Hawaii. Why did you choose that location as the final setting for your trilogy, and how do the island’s juxtaposition of lava fields and colorful sandy beaches contribute to the story? HY: The Big Island is, in many ways, the most magical of the Hawaiian islands. Because of its unpredictable volcanic activity, most of the island is relatively undeveloped. I love spending time there because the power of nature literally surrounds you—from the ocean’s dangerous undertow to the wild growth of the jungle to the steam that seeps from volcanic vents. It’s also the mythological home of Pele, the Hawaiian goddess of volcanoes. The Charlie Cates books all draw heavily upon the setting to create suspense, and the Big Island has a mystical element I can’t get enough of. I want readers to know that Hawaii is so much more than the sunny beach resorts you see on travel brochures. EZB: You attended the University of Hawaii for two years. What was your experience on the island of Oahu like and how much time did you spend in Hawaii researching for the book? HY: My years as a grad student on Oahu were the best. I loved learning about the local culture, listening to people speak pidgin, snorkeling and scuba diving, island hopping and writing while the geckos skittered up and down my curtains. I also worked at a community college on the windward side of the island and got to know several students—a surfer girl, a mother who had overcome homelessness, a man with a New Age bent who consulted Tarot cards and carried crystals “for protection.” It was a colorful cast of characters. Apart from the cost, the only downside to living in Hawaii was the centipedes. No one warns you how big they are. No one tells you they like to live in bathrooms. When it came time to do research for my book years later, I was more than willing to brave the wildlife. I made two trips to the Big Island in 2015 and 2016, for a total of about three weeks. I do a lot of location scouting on these trips. Like, “Ooh, an abandoned sugar mill now underwater that you can scuba/snorkel through? That sounds unsettling. Should I set a scene here?” Even when the answer is no, I still walk away with a memorable experience. EZB: Charlie goes to Hawaii to interview Victor Nakagawa, who works at the Volcano Observatory. Through her visit, we learn about vog, the caldera and the legend of Pele, which really add a lot of substance to the novel. Were you familiar with these things or did they come about through your research? HY: I had a good foundation from my years as a grad student, but research made this book possible. I had a great contact at the Hawaiian Volcano Observatory, Don Swanson, who let me tour the facility and shared a lot of information that I used in the book. I visited a childhood friend on the island who was living in a treehouse she and her husband had constructed—no running water or electricity, a bucket for a toilet, etc. I had some good discussions at a B&B with the native Hawaiian proprietor about Hawaiian history and the sovereignty movement. Ultimately, a lot of research is just listening and observing. EZB: In this book, Charlie brings along her friend Rae for the ride. Rae’s presence seems to shine more light on Charlie’s personality and growth as a character. How would you describe Charlie’s progress over three books, and how is she different now that she is engaged, a mother again and coming to terms with her gift? HY: I loved allowing Rae to be a starring character in this book. She has so much energy and intelligence, and she helps Charlie lighten up. Rae has a strong voice that’s all her own. I’ll let readers judge for themselves how Charlie changes throughout the series, but I think her evolution mirrors what a lot of women go through—minus the visions—as they struggle to balance their identities as mothers, partners and individuals. I like where she ends up. EZB: The Nakagawas are a strange family struggling to raise two teenaged daughters. Without giving too much away, how did you arrive at the ending and was Sue Nakagawa’s character inspired by anyone? HY: The plot of the book came about in two ways. First, I had a dream that someone had been posting pictures of me to my Instagram account. They were photos taken when I thought I was alone, and I had no idea who had snapped them or how that person had accessed my account. I woke from the dream and thought, “Ugh, that’s creepy. It has to go in a book.” The rest of the novel presented itself one day when I was lying in a dark room nursing a migraine. It’s always nice when you can make a debilitating headache work in your favor. As far as Sue Nakagawa goes, I almost never intentionally base characters on actual people. But sometimes, after writing a character, I begin to realize who in my life they resemble. Sue was like that. I’d better not point a finger, though. I’m not sure anyone would be proud to inspire Sue. EZB: What’s next for you now that this trilogy is done? HY: I am simultaneously working on an adult thriller and a middle-grade dark fantasy so that my kids can finally read one of my books.